AHA Annual Membership Meeting AHA Annual Membership Meeting April 7-10 in Washington, D.C. The AHA Annual Membership Meeting on April 7-10 in Washington, D.C., is now in session. Leaders from health care, politics, public policy and the media have converged for the year's pre-eminent advocacy and public policy conference focused on the issues that matter most to hospitals and health systems, and the patients and communities they serve. View highlights from the Annual Membership Meeting, videos, and AHA Today coverage. Seven in 10 hospitals and health systems will increase collaboration with other providers and payers on population health over the next five years. 48% of health care organizations will have standardized collection of social determinants of health data by 2023. While hospitals and health systems are exploring virtual care models as part of their overall transformation strategy to improve access and value and reduce costs, wide variation exists in their tactics, rates of adoption and maturity levels in leveraging telehealth technology. These are some of the key issues explored in a new Market Insights report from the AHA Center for Health Innovation. 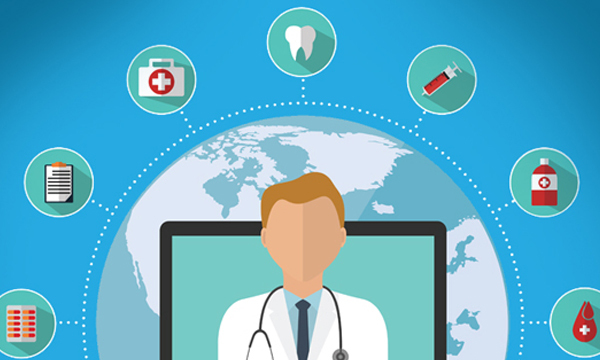 The report — Telehealth: A Path to Virtual Integrated Care — is based on information and insights from hospital and health system leaders and other health care experts, surveys of providers and research articles. Learn more. To further advance health in America, the American Hospital Association has launched the AHA Center for Health Innovation to guide hospitals and health systems in these transformative times. The Center will better equip AHA members to disrupt health care, proactively manage change, make more data-driven decisions, and improve patient care and health in the communities they serve. It will provide forward-looking market intelligence, novel partnerships within and outside of the health care field, unique leadership development opportunities, and enhanced capabilities to spread leading practices at-scale. AHA Team Training strives to make teams of experts into expert teams. The 2019 AHA Leadership Summit promotes a revolution in thinking among health care leaders that reflects a steady wave of disruptive strategies and unexpected solutions for future success. Focusing on transformational strategies and approaches for achieving financial sustainability while delivering greater value through operational excellence, creative partnerships, and redefined delivery models, the Summit convenes the field’s leading thinkers and doers – as well as those innovators who are shifting traditional business models. A society of healthy communities where all individuals reach their highest potential for health.